I-CAR’s Collision Repair News feed recently included a reminder regarding Ford’s OEM procedures: Don’t go off the images when determining the number of welds to put on the vehicle. 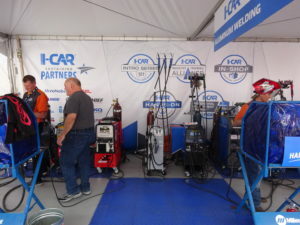 “This means that the number of welds on the vehicle being repaired is the number of welds that should be used when replacing a panel,” I-CAR wrote May 12. Gerry Bonanni, senior Ford paint and body repair engineer, provided more explanation Wednesday behind what might seem counterintuitive at first glance. “It’s a general guideline,” Bonanni said. Over a vehicle’s production run, the OEM might slightly alter the joining with “subtle differences,” such as a weld added or deleted. If it instructed shops to follow the image in the repair procedures, Ford would be creating an “immediate defect” every time it subtly changed the joining at the factory, Bonanni pointed out. The image gives “just a guideline” to be aware of the welds, Bonanni said. Factory welds may be replaced with resistance spot welds or MIG plug welds. 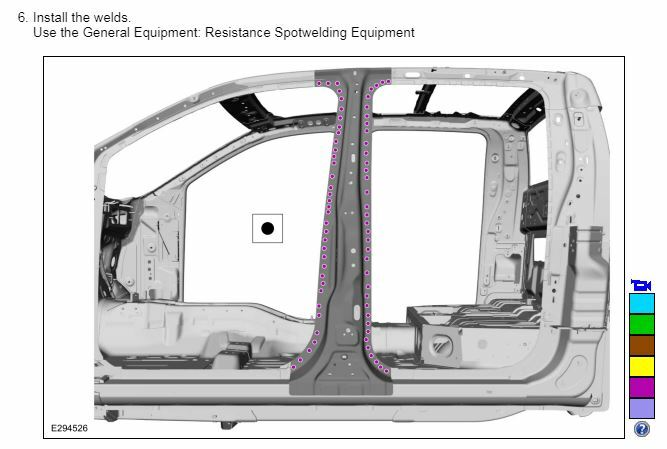 Resistance spot welds may not be placed over original factory weld location. They must be placed adjacent to original location and match factory welds in quantity. MIG plug welds must equal factory welds in both location and quantity. “Resistance spot welds must equal factory welds in quantity and be placed adjacent to original weld location,” the manual’s general welding precautions also state. Bonanni described this guidance — go off the vehicle rather than the illustration for welds — as routine, something taught in basic I-CAR and industry courses.